My husband Craig had been complaining about his right shoulder hurting the summer of 2017. To be the spouse of a doctor can be challenging because getting my attention medically can be tough at home. We had tried conservative care with ice and ibuprofen for months. We tried cold laser therapy. We even tried steroid injections with minimal relief. He had significantly modified his activities due to the pain. The final straw: he could no longer play catch with his daughters. We got an MRI of his shoulder scheduled. Our cash pricing through our Midwest Direct Primary Care Alliance was $240.00 cash at a local free-standing imaging clinic. The MRI revealed no full thickness tear of the rotator cuff but there was a partial tear with joint effusion and chronic tendinosis and tendinopathy. I consulted an orthopedic specialist online through Rubicon MD who recommended surgical evaluation over continued conservative care. An online referral was started with the Surgery Center of Oklahoma. In January 2018 Craig was set-up for a surgical consult late Thursday afternoon with anticipated surgery the following Friday morning in Oklahoma City. We braved the typical January weather from KC to OKC. After reviewing Craig’s case, the anesthesiologists/owners of the Surgery Center of Oklahoma hand-picked Dr. Couppens as the surgeon. This former US Olympic team doctor met with Craig and modified the surgical plans with him given the magnitude of adhesive capsulitis(aka frozen shoulder) that had developed. The next morning we arrived bright and early for surgery. While Craig was being attended to I got to enjoy the company of Dr. Keith Smith and Dr. Steven Lantier the masterminds behind the Surgery Center of Oklahoma and the pioneers in the movement for price transparency. The surgery was deemed a success and we drove home later that day. The road to recovery included lots of rehabilitation over the next several months and we are now happy to report Craig is once again playing catch with his daughters. Grandpa remembers when Doctor Johnson used to make house calls. He also remembers seeing him at the local baseball fields helping his best friend David with his twisted ankle that hot July summer night after he slid into home plate. 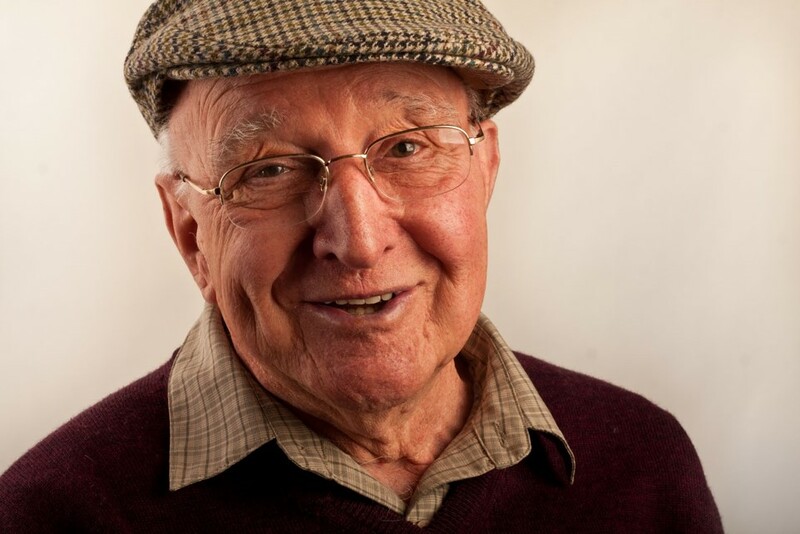 Grandpa says when Grandma was having troubles getting her medicines Doctor Johnson called the hometown pharmacy to ensure they got delivered on Saturday. Grandpa doesn’t recall ever having troubles getting in to see Doctor Johnson and certainly doesn’t recall being rushed through a ten minute appointment. He also said if their neighbor Judy couldn’t pay her bills, well good old Doctor Johnson just took care of her. Oh, the good old days—the good old days when your doctor was accountable, accessible, and affordable to you. Here enters a new model of practice that is sweeping the country for primary care services—Direct Pay Care. Patients forego insurance to cover their preventive care for drastically discounted prices. Doctors spend less time on paperwork, compliance checklists, and coding issues so they can focus on spending time with and taking care of their patients. Just the other day my six-year-old daughter asked me why I became a doctor. Well, it certainly wasn’t to argue with insurance companies over covering a test I felt was clinically indicated. It wasn’t to document for eight hours of my twelve hour day to justify my care. And it certainly wasn’t to be told whether I was a good doctor or not by a checkbox. In this day of escalating healthcare costs and regulations, many family physicians are finding themselves turning back to their roots to practice medicine as Doctor Johnson did. Most family physicians went into family medicine because they like taking care of people. Unfortunately with the demands today in our current system, the focus has become less and less about caring for patients. 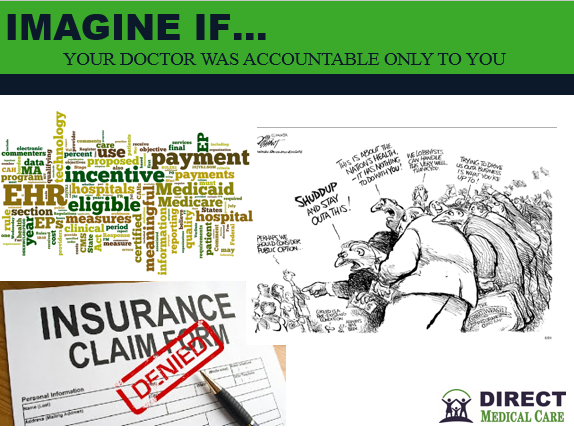 Imagine if your doctor was accountable to only you. Not to insurances nor government— accountable just to you. Some family doctors are doing exactly that and going back to focusing on their patients’ needs without excessive regulatory distractions. By avoiding some of the red tape imposed by insurance and government entities, the doctor becomes more accountable to the patient. It is estimated that the average family doctor spends only one third of his or her time actually with their patients. So what is your doctor doing the other two thirds of the time? He or she is charting, coding, and arguing with insurance companies. Clearly this does not improve your care. 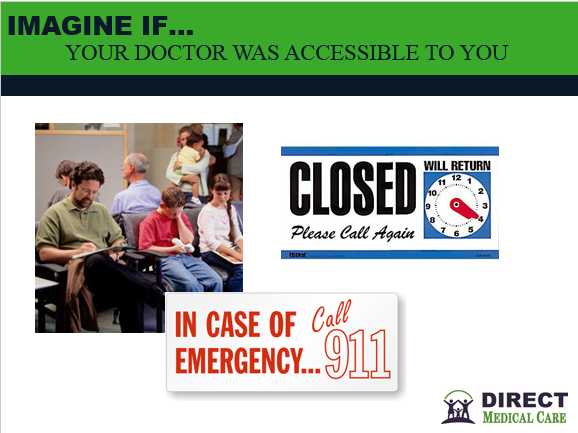 Imagine if your doctor was accessible to you. A wise physician mentor once told me no matter how talented or nice I was as a physician, if I wasn’t “accessible” I was no good to my patients. It is commonplace to wait weeks or even months to see your “regular” doctor. It can be challenging to get a nurse to return a phone call let alone a physician. This has become the standard of care that is accepted by patients. This should not be the standard as the physician patient relationship is sacred, and the quality of care suffers because of it. Some family doctors are making themselves accessible by email, open access to charts, same day appointments, and even providing patients their personal cell phone number. 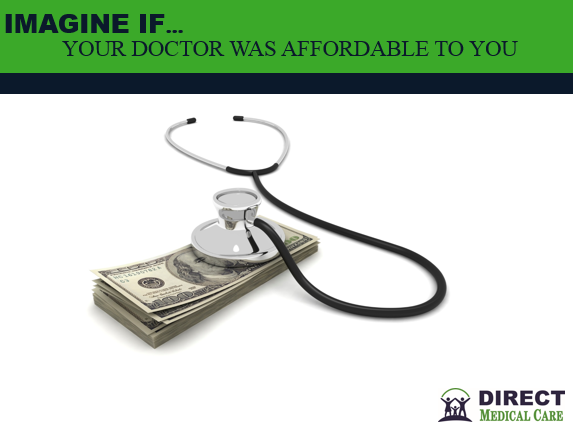 Imagine if your doctor was affordable. Direct pay family doctors are back to taking cash for their services at a fraction of the cost of insurance pricing. The average family’s annual health insurance premiums are over $13,000. That cost is shouldered by the employer and the employee and does not reflect co-pays or out of pocket expenses. The standard use of insurance outside of healthcare has been to cover catastrophes. We would never expect our car insurance to pay for an oil change or our house insurance to pay for a new carpet. Our expectation for our health insurance to cover our every day preventive medical care has made health care costs rise exponentially. By eliminating insurance usage at the primary care level, the cost of care and the potential savings to the patient and their employer are staggering. It has been and is common practice for an employer to pay $500 monthly for an individual’s premium. While the employees don’t see that expense, it does affect them. If the employer were to move to a high deductible plan monthly premiums would drop to under $200. That is $300 in savings for the employer. That money could then be applied to a Health Savings Account that is tax-free money the employee can use for healthcare expenses now or later. In addition, a portion of the savings could also be used to supplement the employee’s salary. The latest trend in healthcare coverage has been to provide these lower premiums and higher deductible plans combined with health savings accounts. This is a fundamental change that supports the direct pay model. Your dollars are maximized with heavily discounted rates for office visits, labs, and imaging while your remaining money is put into your health savings account rather than lost to insurance premiums. Accountability, accessibility, and affordability are making a comeback and it is about time. “They just don’t make things like they used to,” said Grandpa. Well Grandpa, many physicians have listened and are trying to do just that with Direct Pay Care.